Improving your home regularly is a great way to increase property value. Improvement projects can increase energy efficiency, improve aesthetics, and make it easier to sell later. When you slack off during the winter months and put home improvements on hold, you are missing out on days that otherwise could be used productively. These are some of the best home improvement ideas for winter to consider competing in the next few months. Painting walls and trim is often viewed as a cosmetic or decorative activity that does little to improve value. However, periodically painting the walls and trim can protect against and repair some types of damage. This can improve desirability when you attempt to sell your home. When selecting paint colors for interior walls and trim, choose neutral hues that have a broad appeal unless you intend to paint again before you list your home for sale. As you consider home improvement ideas for winter, energy efficiency should be a focal point. Insulation in your attic plays a vital role because it traps climate-controlled air indoors where you want it instead of letting the warm air rise up through the roof. Your home may need more insulation if it was constructed with low-quality materials initially or if the existing insulation has deteriorated. Consulting with an expert is a smart way to determine if new insulation would be beneficial to your home. Installing new flooring is a project that can have a big impact on your home. It can improve property value and appeal and reduce cleaning and maintenance tasks. This project can be completed at any time of year, but since it keeps you inside, it’s one of our favorite home improvement ideas for winter. Rip up the carpet and refinish the hardwood underneath, or install an affordable linoleum or vinyl flooring option. If your kitchen or bathrooms are looking outdated, replacing the backsplash is an easy way to modernize the style. If you don’t have backsplash already, adding it will upgrade the aesthetic of your home. 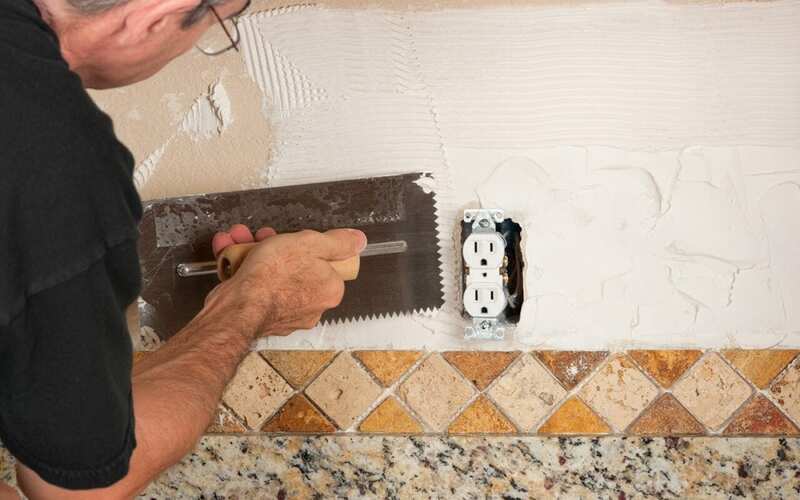 A do-it-yourself home improvement enthusiast may be able to complete a tile installation project in an afternoon. Look at your home’s current needs and your budget before deciding which of these home improvement ideas for winter may work well for your home. American Home Inspection Services provides home inspections and related services to Southeast Michigan. Contact us to request an appointment.